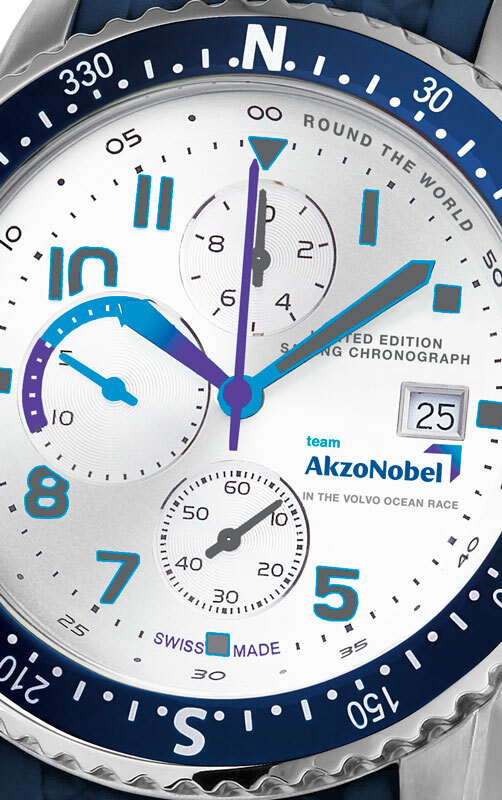 The Team Sailing Gents is a Limited Edition chronograph model with a powerful image. 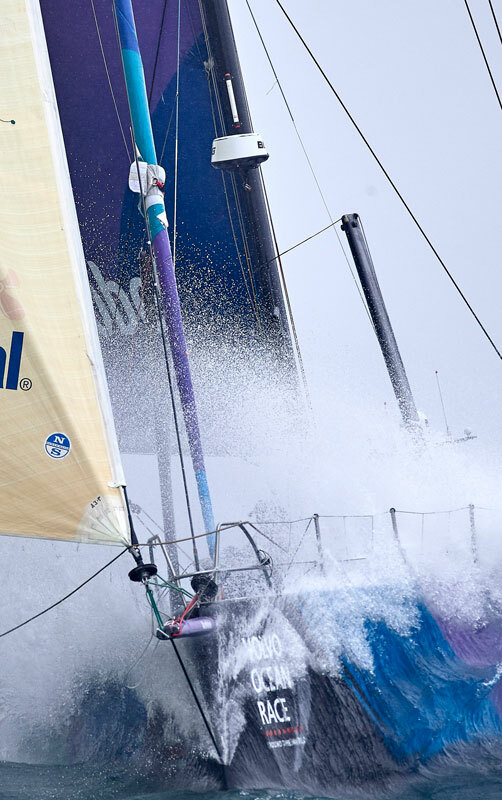 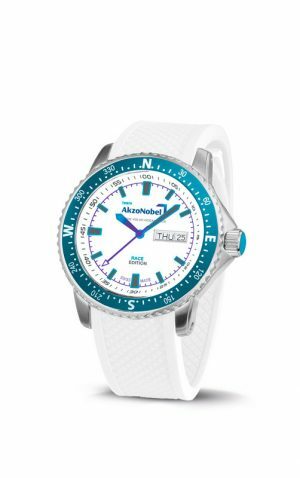 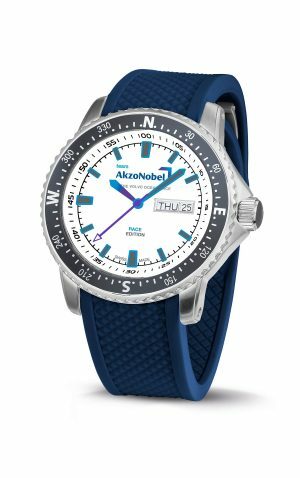 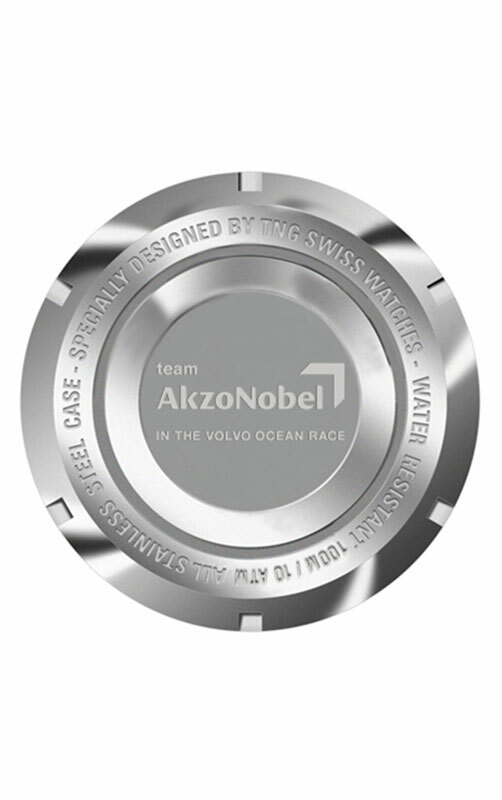 This nautical watch in sparkling team AkzoNobel colours is featured with an enlarged sub-dial with countdown function and a preset of a five minute countdown, crown protection and nicely rounded pushers. The TPU rubber strap is water-resistant, comfortable and includes a folded safety buckle.